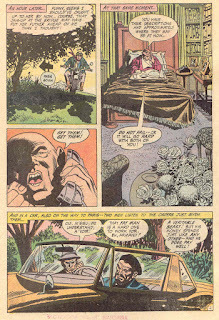 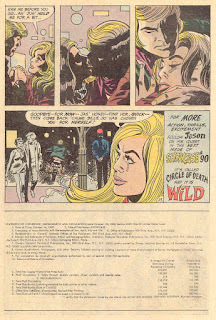 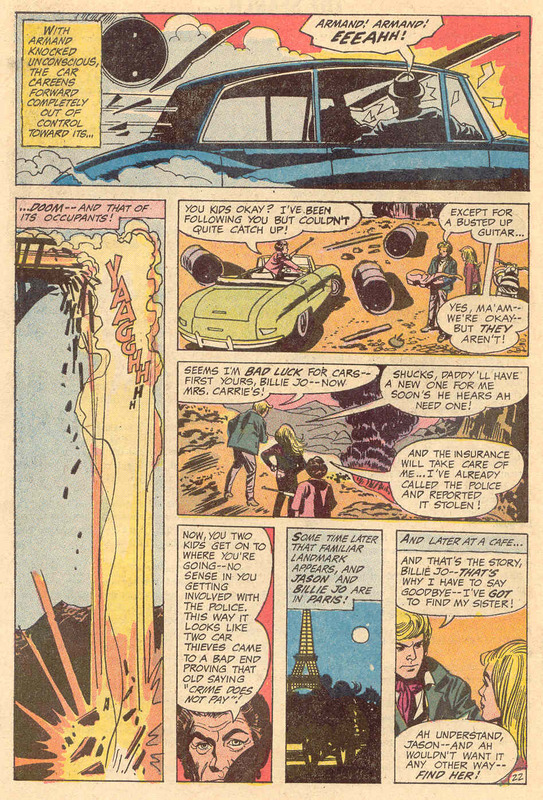 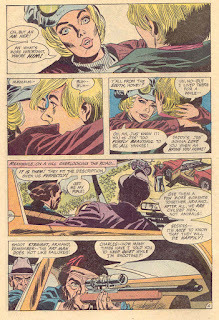 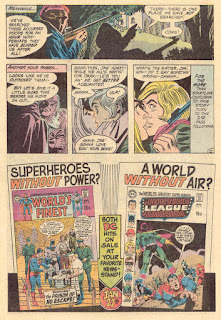 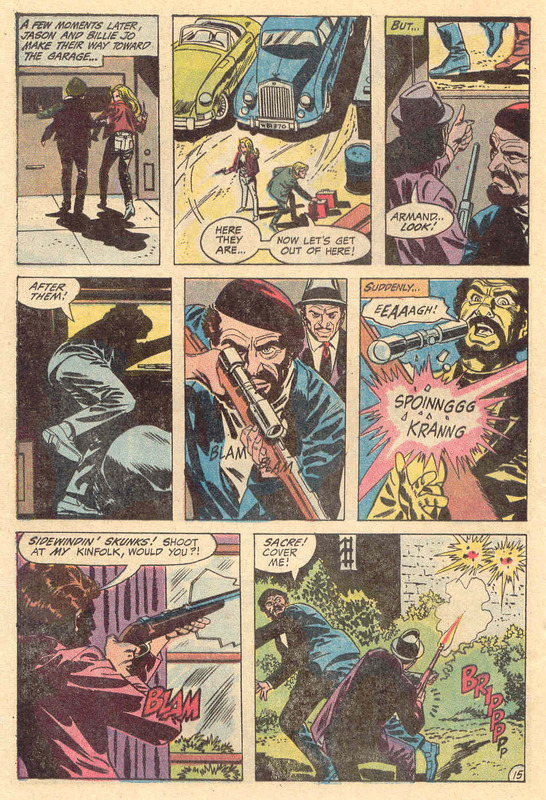 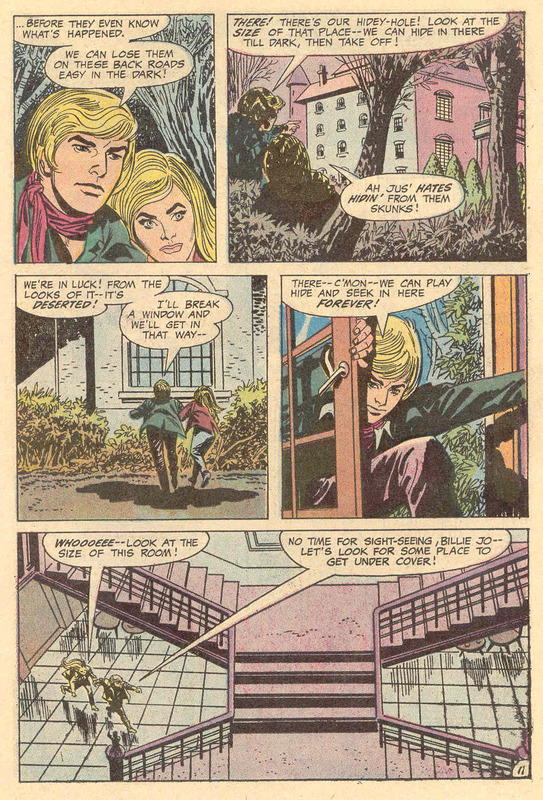 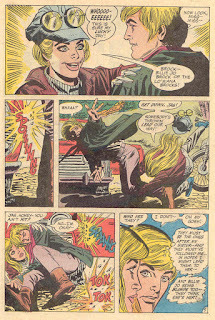 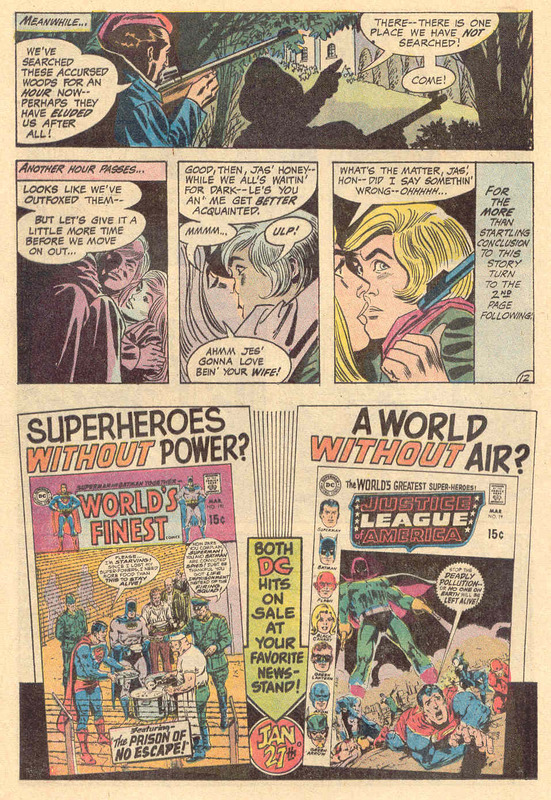 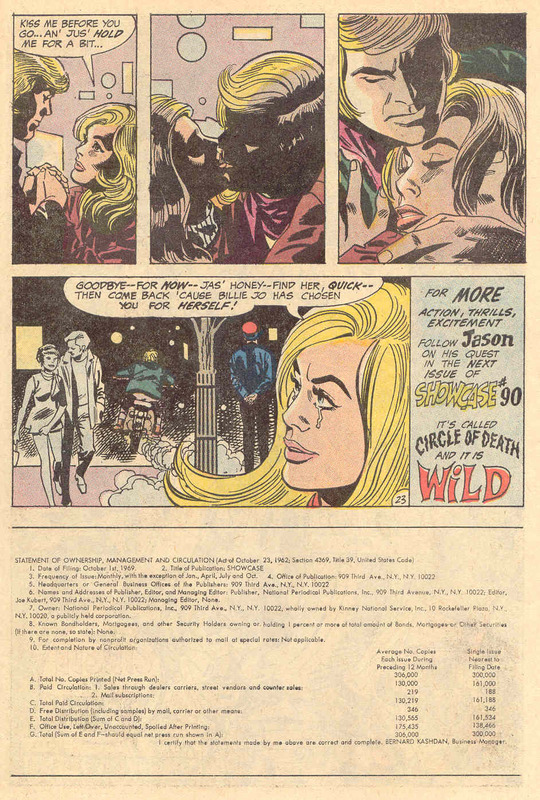 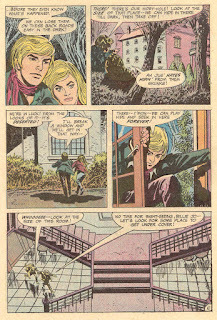 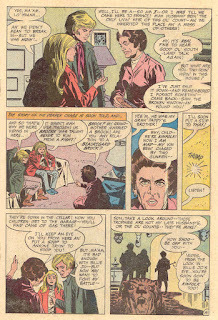 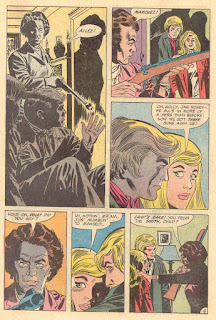 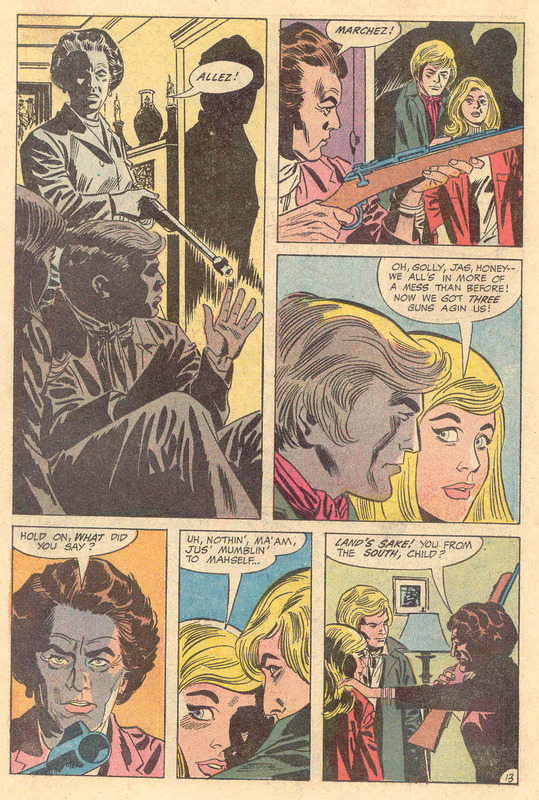 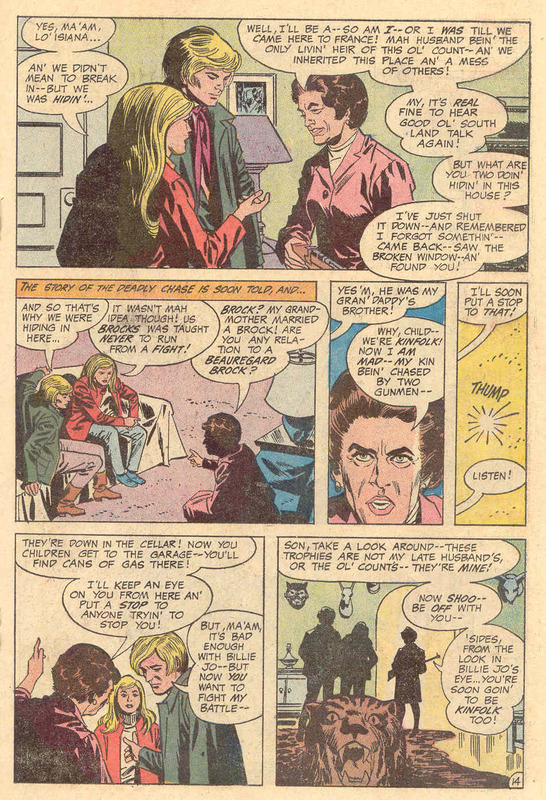 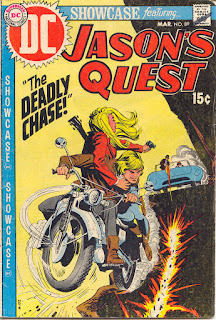 Welcome back to part 2 of Mike Sekowsky's groovetastic Jason's Quest. 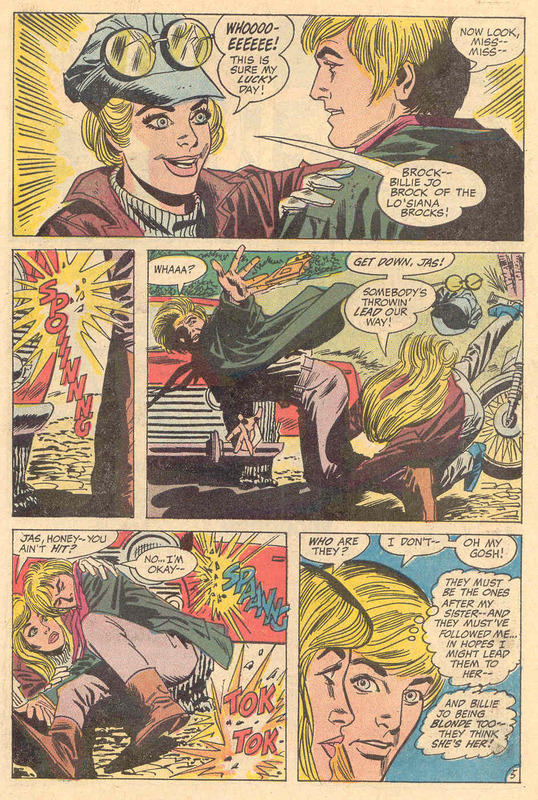 This week, Jason meets more than a little bit forward southern belle Billie Jo Brock, who really should've got her own series as well. As should French hitmen Charles & Armand, a couple of arch queens reminiscent of Messrs. Wint & Kidd from Diamonds Are Forever. 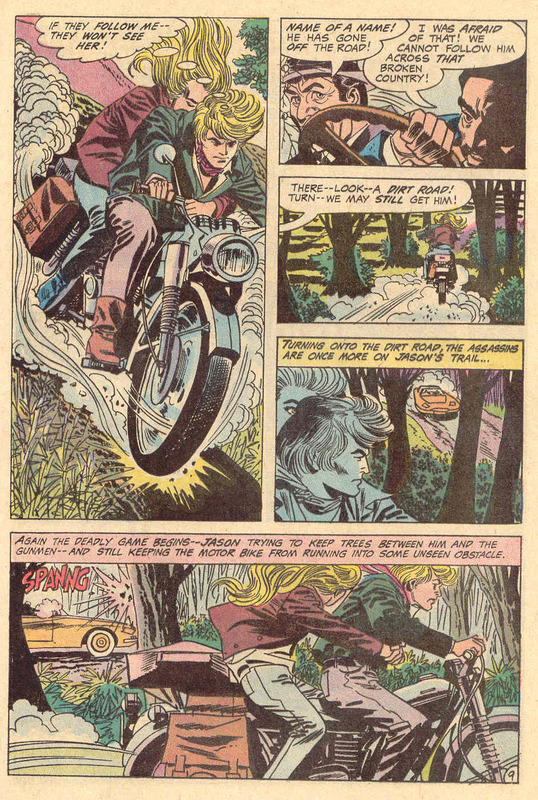 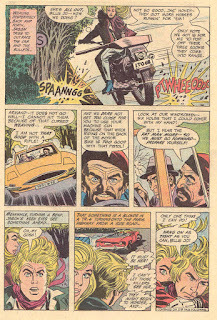 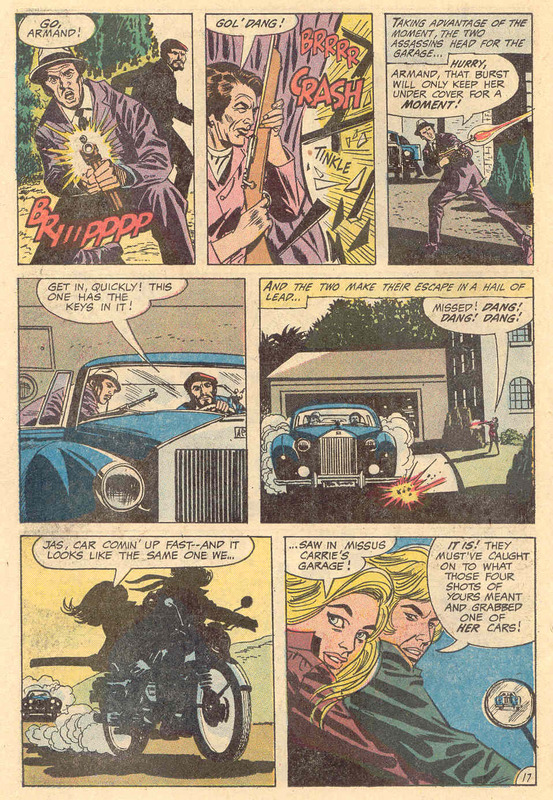 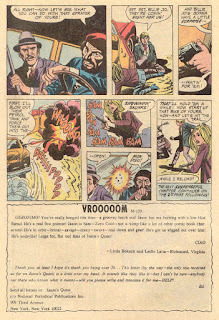 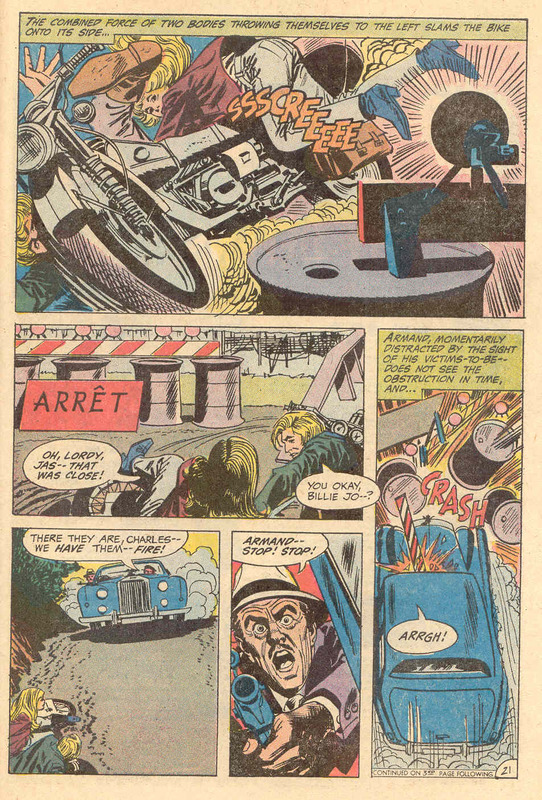 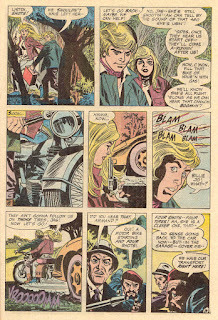 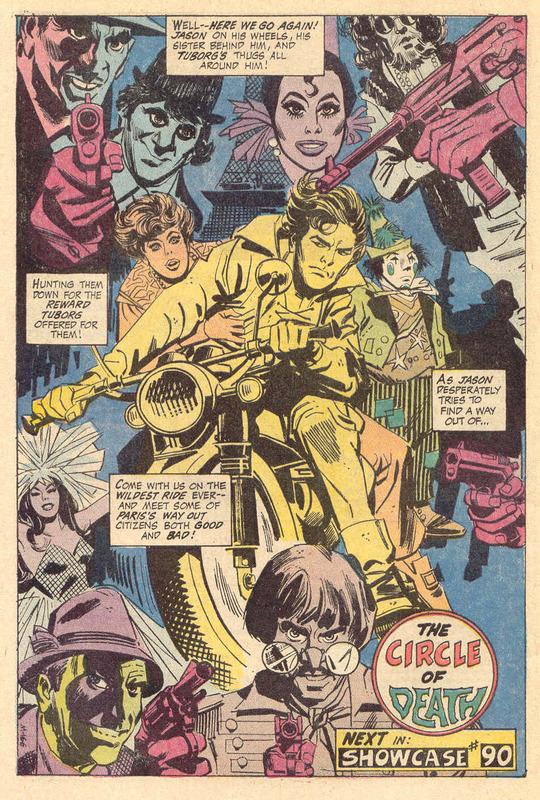 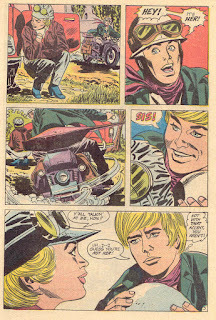 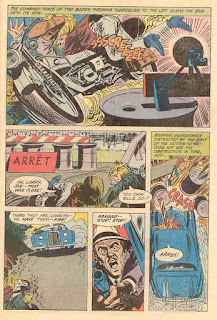 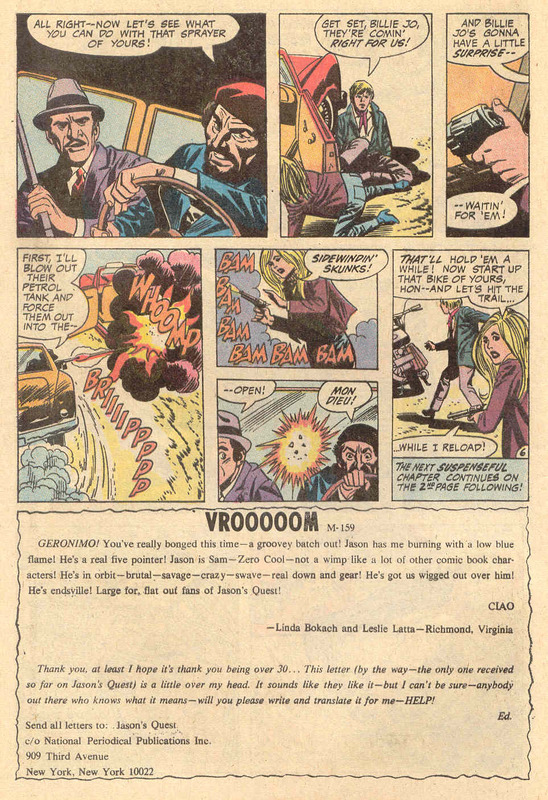 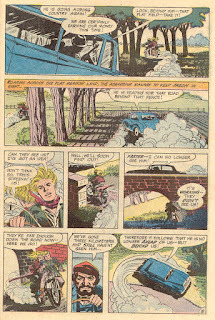 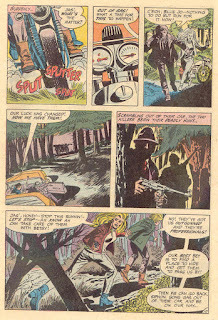 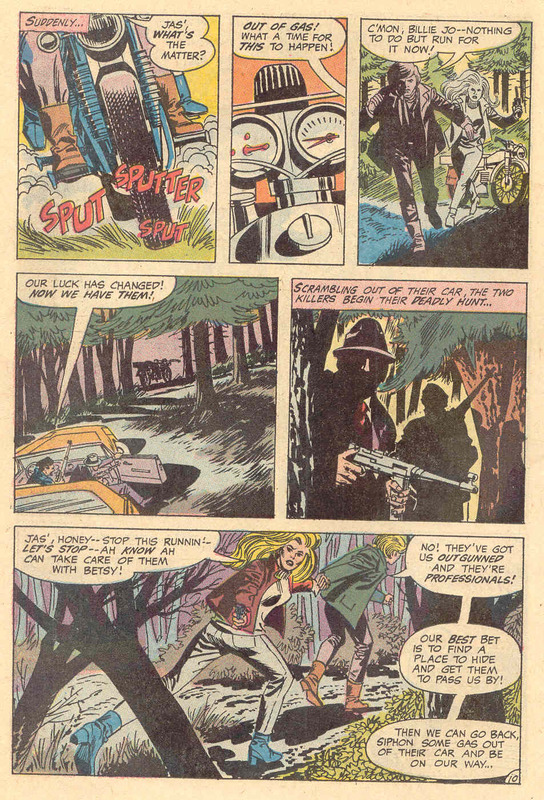 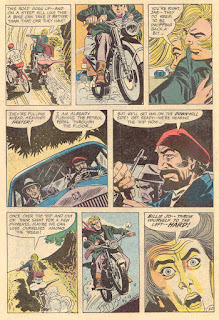 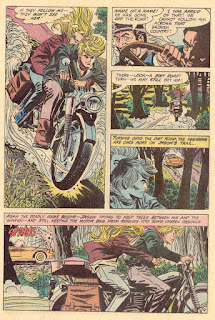 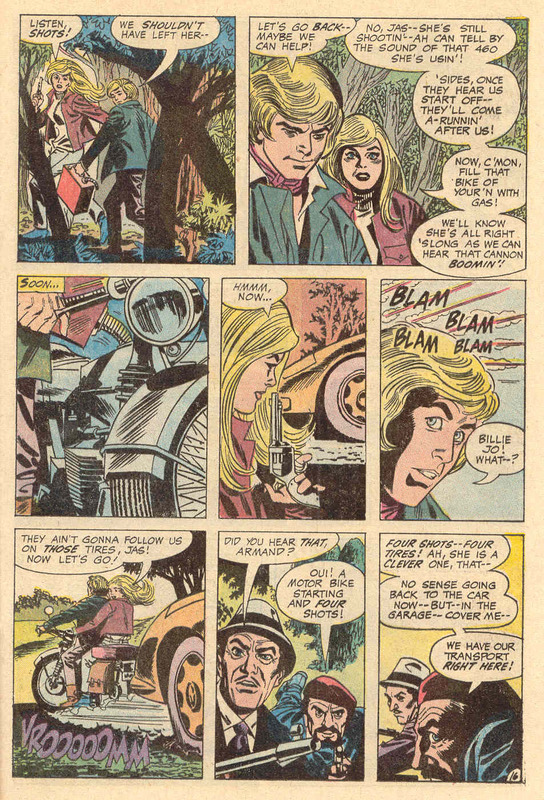 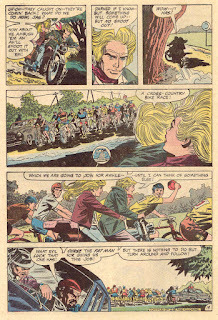 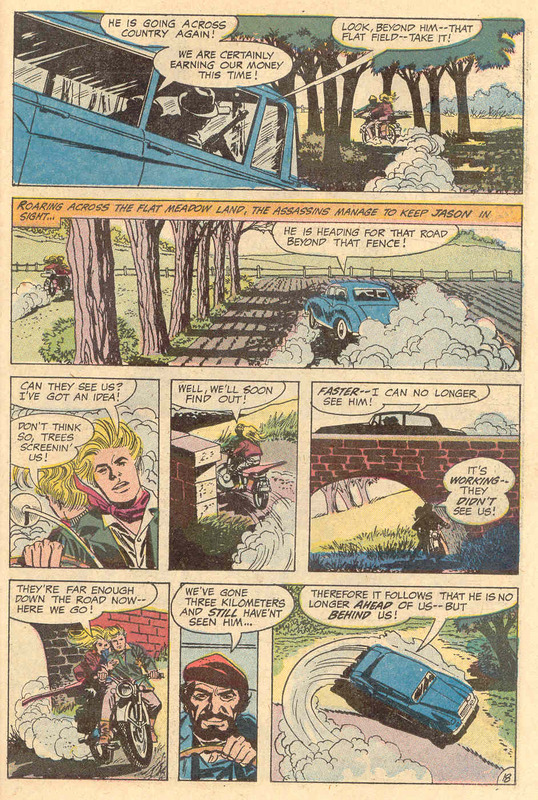 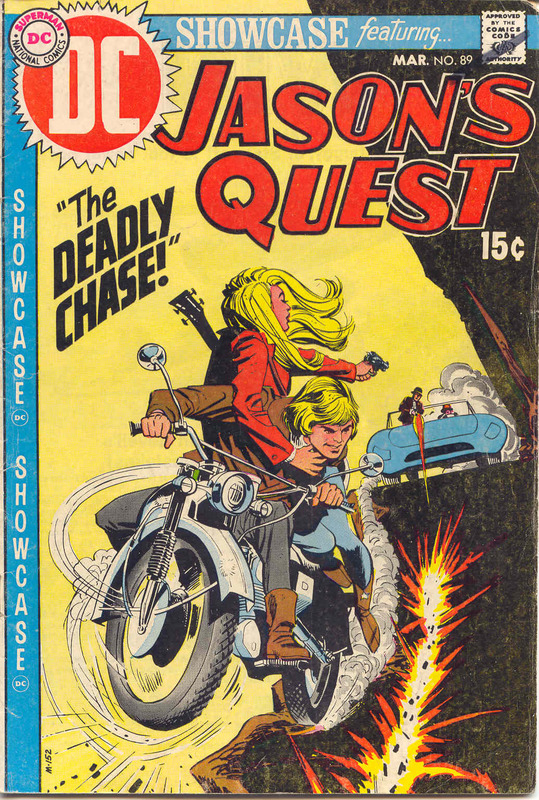 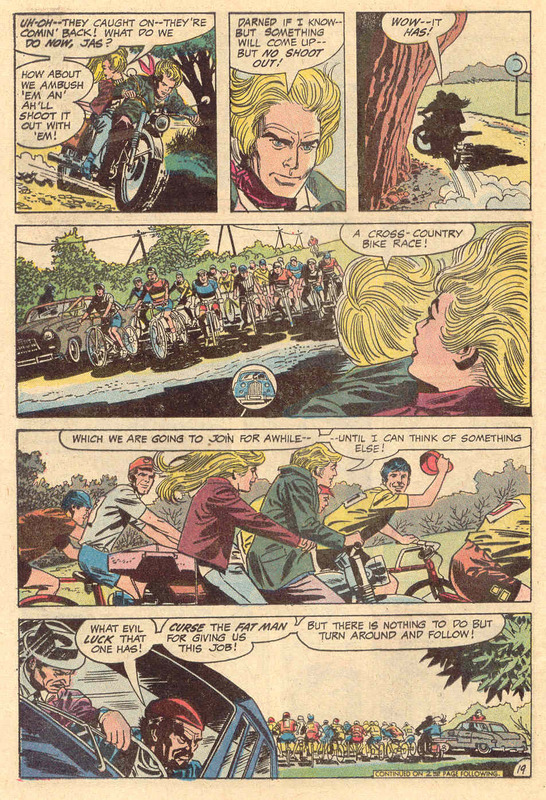 Having set up the premise last time round, Sekowsky is free this issue to indulge in what amounts to an issue long, pedal to the metal, rock n' roll chase scene. 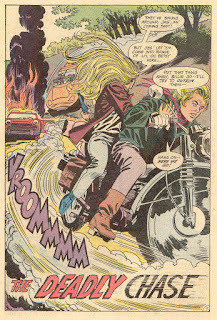 Strap yourselves in, turn it up loud, and away we go. 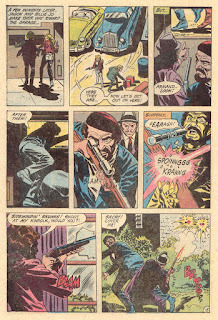 Thank you for showing this - appreciated. 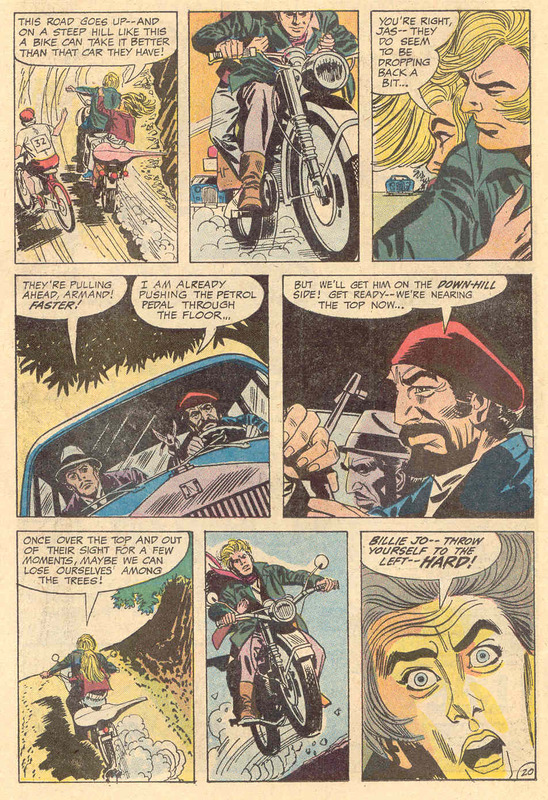 It's such a dated strip in so many ways but it is still a pretty cool and well paced wee story. 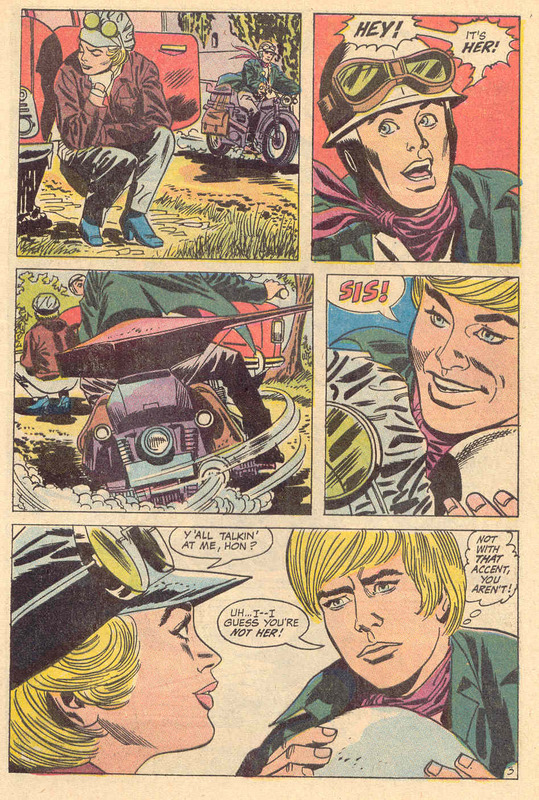 Thanks for following up on this one, Pete. 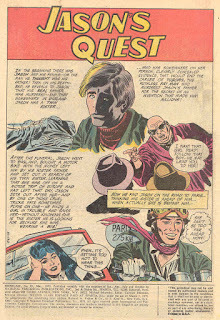 Generically, its the sort of thing you could easily imagine appearing in a comic like Action; and as soon as you start to think how Pat Mills or John Wagner would have approached it, you can see exactly where DC went wrong.